Who doesn't like tons of skulls crunching under their feet? This base fulfills that base need in your mini. 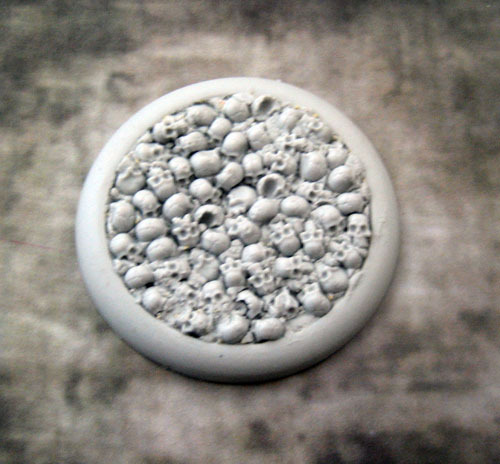 The detail is great and the broken skulls help to break up what would be a base like every other skull base. I'm using my 50mm to base my Nightmare Lord Chompy Bits mini and he looks terrific. I f you need tons and tons of skulls on your base, this is the one for you.